Eat, Drink, Cheer at the Hollow! 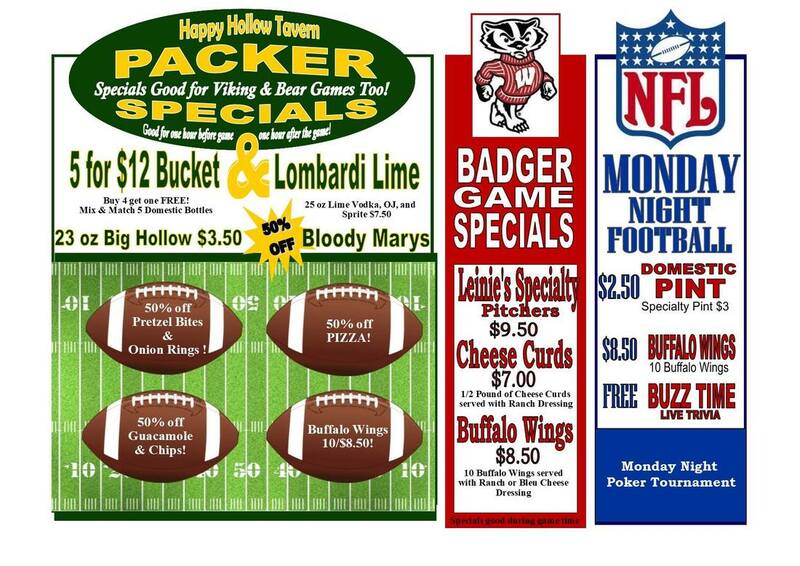 The Hollow is the Chippewa Valley's premier venue for watching your favorite sports teams win big on 21 HDTVs. Every seat in the house gives you a great view to a variety of games along with amazing food and drink specials to help ensure you have a FUN time. ​All your favorites stations with satellite TV so you won't miss a single game and can watch out-of-the area games by just asking your bartender to tune in your favorite team.